– In a food processor, pulse all sweet dough ingredients together until the dough comes together. – Wrap dough in cling film, and chill for 30 minutes inside the fridge. – Mix all filling ingredients together and set the mixture aside. – You will need 4 mini (12-mould) muffin pans. – Take the dough out of the fridge and scoop 1 tablespoon of dough into each mini muffin mould. Press dough and create a cylindrical indentation to hold the filling. – Spoon filling in each prepared unbaked shells. 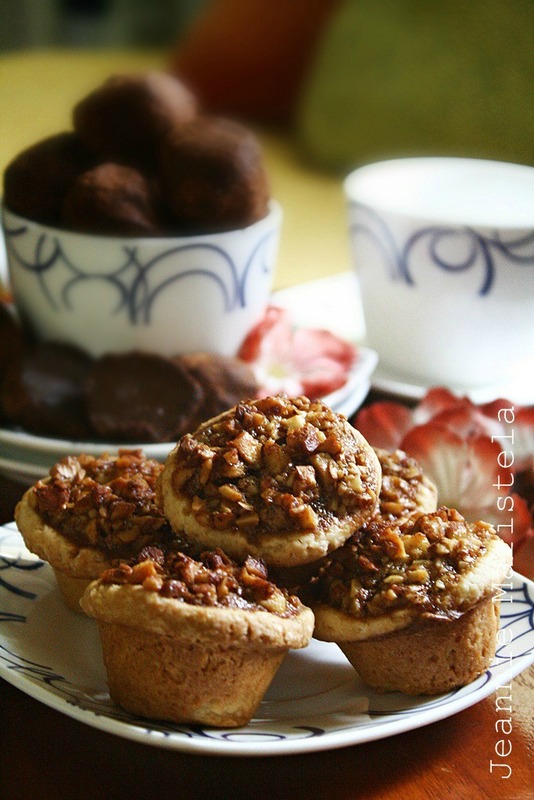 – Bake tarts for 20-25 minutes or until light golden brown. – Lift tarts from moulds 5 minutes after taking the pans out of the oven. Cool tarts on wire racks.